SubBoomBass RE has been carefully crafted to provide you with the tools to create fresh new bass lines. It includes unique tuned drum percussion samples which are great for Hip Hop and RnB basses but can also be used to add rhythm flavour to your tracks. Also check out the innovative 'Wave-sequence' feature which will open up brand new sonic possibilities for your music. 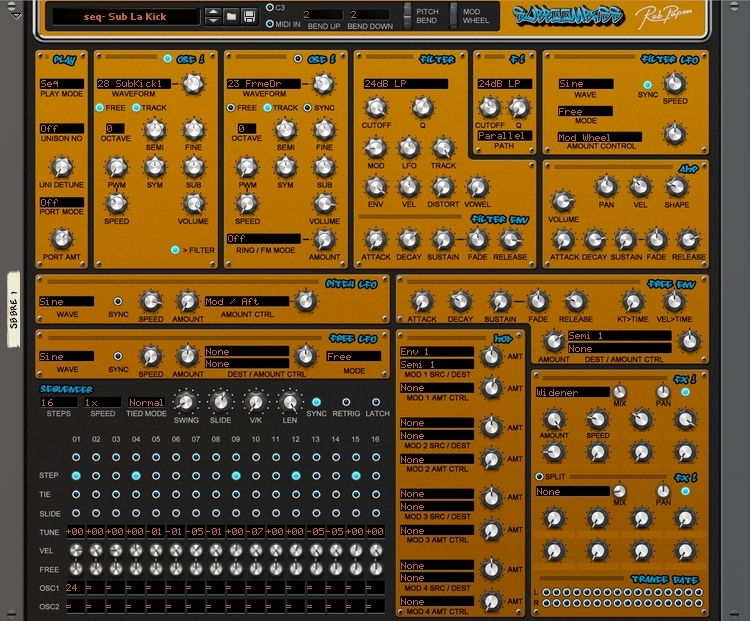 SubBoomBass is the most incredible vst instrument that feature lots of Bass sounds with sub bottom that have lots of Boom. You will hear The SUB-response below 40hz, BOOM-rumbling the floor, BASS-sounds that are so warm, it will excite you to make track all day everyday. SubBoomBass is HOT!!!! I've loved the subboombass from the start! Instant access over lot's of great sounding deep bases that immediately sit nice in the mix!! A must have for every dance-producer!